Just thought I repost this if there is any doubt in anyone’s mind after my last post. I know this may seem redundant as the name of my blog is smilingldsgirl but I just wanted to say that I AM A MORMON. I have a testimony of the Mormon church (or the Church of Jesus Christ of Latter-day Saints). I gained this through much prayer and study. I know that Joseph Smith is a prophet. I know that the Book of Mormon is revealed scripture. I know this with all that I am. I am writing this letter via my blog in the hopes that somehow you might see it. You probably won’t but I am going to pretend that you can and say what I want to say. For the first time in my life today I didn’t go to church. It was the wrong decision but I just couldn’t take it. Let me fill you in on my life story. I’m 32 single adult, RM, BYU grad member. I attended YSA wards for 15 years of my life. While these had there challenges, I was always able to make it work. I benefited from a large amount of money and resources spent to ensure I was taken care of and spiritually nourished. With all its faults, it was the only way I have worshiped in my adult life. The only thing I knew. My last singles ward was particularly great. I had a bishop who really loved me and we had a mentoring relationship. He cared about my life, followed my swims, and met with me on a regular basis. As someone who does not have much gospel family support, aside from parents, this meant a lot to me. In that ward we had a daily scripture reading, service and prayer challenge which we reported on regularly. We had lessons that I could relate to each week and activities that helped me to feel included and make friends. While the emphasis on dating sometimes drove me crazy, at least I felt important and taken care of. Like a guillotine I was told I had one month to transition to either a midsingles or family ward. It didn’t help that the same week I was transitioning I had a blow in my personal life I had to absorb mostly alone. Nevertheless, I tried to be obedient and attend the family ward. I’ll never forget walking in to my first family ward that had 3 other single adults. I sat on a row in the back but I tried and bore my testimony, introduced myself. (I can’t even imagine if you were shy how you’d get through it). Then I met with the bishop and told him I did not want to be in primary. Not because I don’t like kids but because I knew it would make it near impossible for me to make friends and feel a part of the ward. Lo and behold I got called into primary and I did my best to make it work. I was also called as activity day director, a calling I loved. I was pretty vocal and active in that ward and I actually was able to make a friend or two (my co-teacher was great and we became friends). Still, I felt spiritually stymied and cut off from the ward experience I was used to. I attended some ysa activities and that was fine but its hard when you are cut off from the Sunday social environment to feel a part of things. I went to midsingles activities but the challenge there is the numbers are so massive that you can’t get to know anyone because the next month there is an entirely new group at the activities. So I lost activities, spiritual nourishment, friends and a sense of being part of a ward family (It really feels like sometimes they are prepared to invest so much in people and then boom its over). I met with the bishop before moving out and told him ‘I haven’t been asked to speak. Haven’t given a prayer or anything’ . He said ‘It looks like you fell through the cracks’. So a new ward came with a new house. At first I was called into the Relief Society presidency which helped a lot to give me something to do, feel needed. However, it really hurt when I was seeking help with my move and told ‘we don’t do moves’. It kind of broke my heart. I was left to figure it out on my own, as a single woman with no immediate family to help. But I plowed forward. I worked hard. Tried to contribute, gave a talk in church, taught several lessons, but still missed the inclusive experience of my singles ward. This new ward has more singles but most are divorced with kids which is a different set of circumstances. We have only had Relief Society activities so its hard to get to know families, to even know who is part of what family. We also don’t have ward directories any more so if I wasn’t in RS Presidency I’d have nobody to call for help or to get acquainted. They have a monthly activity for FHE for singles that I appreciate, even though I’m the only one from my ward that attends. The problem is that the group seems different each time and the interactions are so seldom that even learning people’s names is difficult. So I am left alone. The same problem is true for midsingles activities in general. The midsingles ward is about 30 minutes from my house (an hour driving is a lot if you don’t have to) and it is massive, 750+ members. 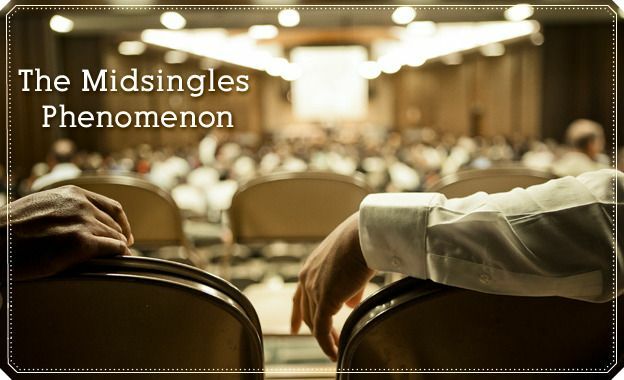 As far as spiritual nourishment goes I tried to tag onto the singles ward as long as I could. For example, they did a scripture challenge on the atonement before Christmas that I found very rewarding. Those kinds of things never happen in family wards. In May I was feeling down and wanted to talk with the bishop. The waiting list was over a month out. I said ‘forget it’ and moved on, dealt with my problems by myself and with this blog (thank you!). The whole time I felt very sad and truly grieved for the life I was allowed to live for so long that was ripped out from under me through no choice of my own. Then this week the ties in my YSA were weakened all the more. At this point I only know 3 people there and the bishopric. I felt very depressed about it. My bishop called yesterday and I told him as much. His response was ‘ok’ and hung up. I am sure he has way too much on his plate but it hurt. I just couldn’t do it today. I couldn’t pretend today. Next week I will be back because I know it is true and that’s more important than anything else but you brethren should know that there is a reason inactivity among midsingles is 80% or more. It is so hard to make that change. In other parts of the country they are implementing a system of magnet wards for midsingles. This is a great idea. Instead of the 2 choices I have of midsingles ward or family, you have a ward in each stake that the midsingles are assigned to attend. You could even have 2 for stakes with more midsinges. This gives the advantages of friendship and fellowship of a ysa with the grownup feel of a family ward. Please! Bring this to Utah! These singles are great people. They are strong. Strong enough to forge ahead with all of this. They know they are not living the ideal Mormon life. They can’t work on the celestial concept of marriage. They don’t have anyone to nudge them forward or to correct them when they are getting off the path. It is all on them. This should be more of a reason to fellowship and provide solutions that help them. I honestly think the transition from singles to family wards (even if through marriage) needs to be treated like welcoming in a new convert. It’s that different and that unsettling. Like President Hinckley says, any convert needs “a friend, a calling and nourishment of the good word of God”. That’s what is needed and I’m convinced if it was tackled from that perspective attrition rate wouldn’t be nearly so high. The fact is when you are a midsingle you are living in a world that isn’t designed for you, even outside the church. It is assumed by your 30s that you have at least one marriage under your belt and that most people have kids or are starting to have kids because most people are doing just that. And it only gets worse, I’m told, the older you get. But where does that leave the group left behind, outside the norm? Well, on this Sunday she stayed home and cried but she’ll be back and will try again.